After some inspiration for homemade wooden signs? 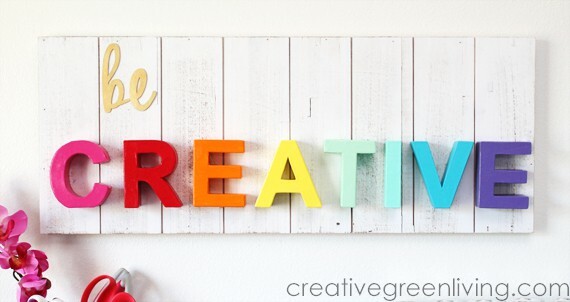 Today we have a gorgeous list of DIY signs to inspire your new project. 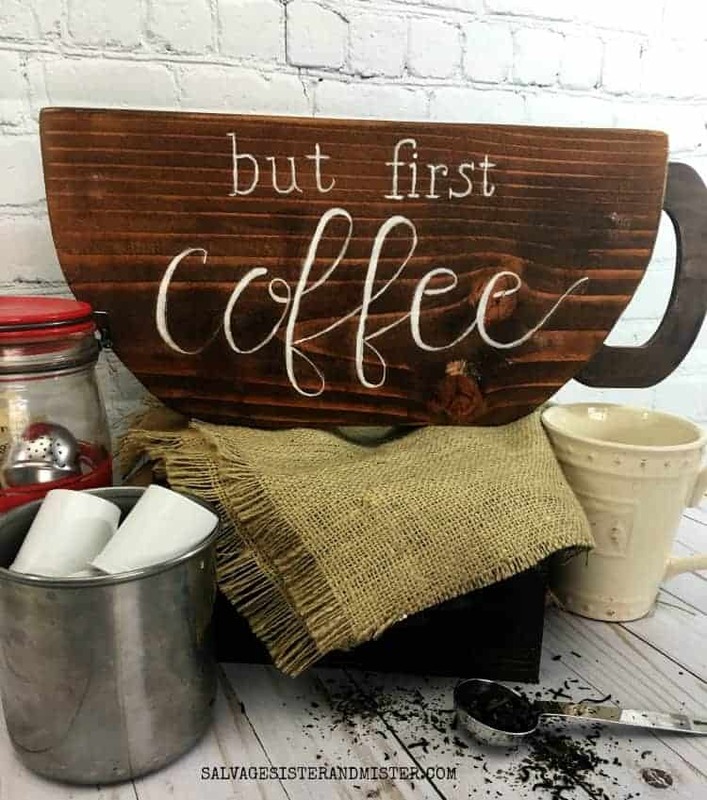 Not only do we share some of our favorite DIY wood signs, but you will also find pallet signs, signs with fabric lettering, as well as many others. Each sign comes with its own tutorial to help you recreate them, simply click through to each website listed below the picture. So without further ado, here is our list of some of the best DIY signs from around the web. Below you can find a list of some of our favorite DIY signs. 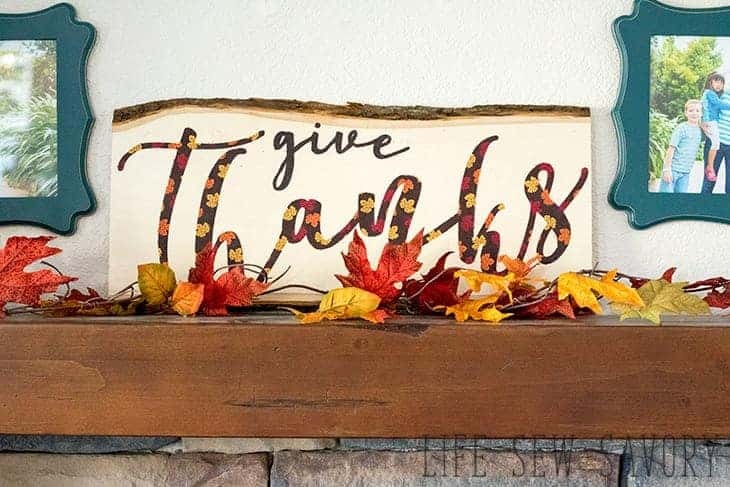 I think the DIY wooden signs with sayings are my favorite, but we also have some DIY Pallet Signs, some DIY Signs for Home or for seasons such as fall or Christmas. I’m sure whatever you love working with, you will find at least one sign on our list to get your next project moving. 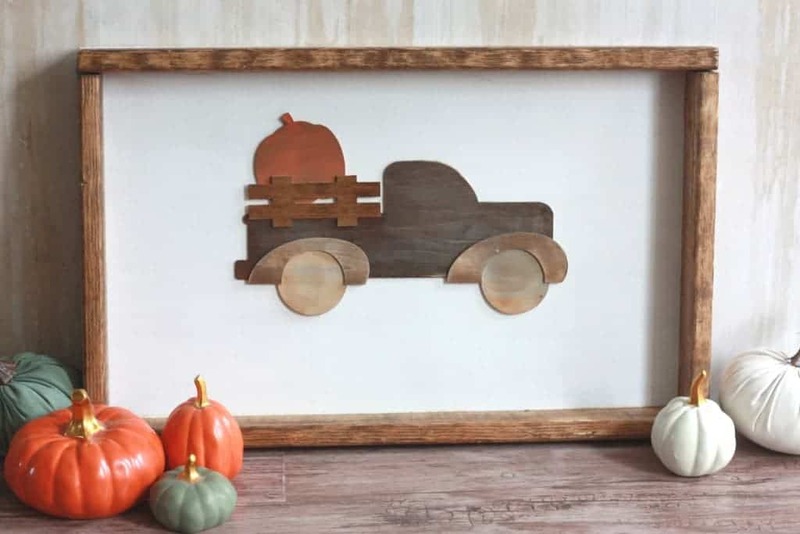 This beautiful DIY Wooden Fall Sign is a great statement piece for any front porch. You can find the full tutorial on Our Home Made Easy. The tutorial is pretty full-on so probably better suited to advanced crafters. It would also be beneficial to have a cutting machine such as the Cricut Explore Air 2 or the Silhouette Cameo 3 on hand (but you could do it without it). I am loving the bright colors on this fun sign. You can find the tutorial on Creative Green Living. Whilst the tutorial is done with bought letters, remember that you can always create your own letters if you own a Cricut Maker Machine and you have the knife blade on hand. This blade is strong enough to cut through board, chipboard, balsa wood and more! Can you believe that this stunning DIY wooden sign was whipped up from an old watermelon sign? Salvage Sister and Mister show you how to upcycle a cheap sign to create something brand new. So nifty! 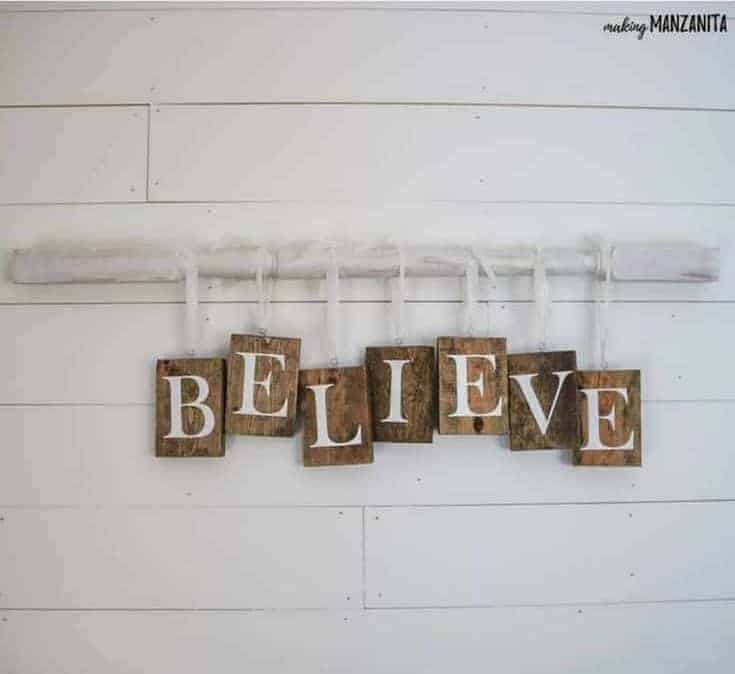 Here is a nifty way to add both pattern and texture to your saying on your sign. Simply use some fabric! The easiest way to cut fabric is with an electric fabric cutting machine. 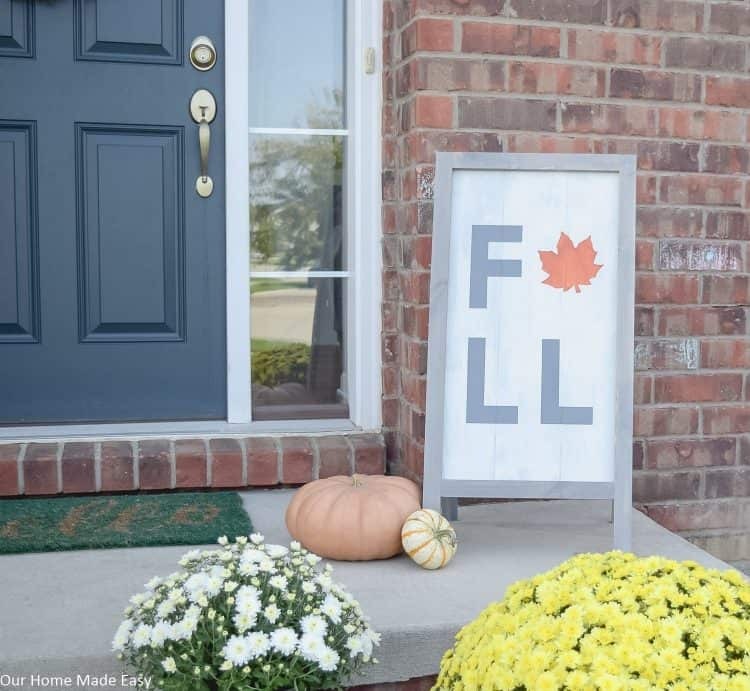 Visit Life Sew Savory to find the full tutorial for this gorgeous DIY fabric fall sign. After some inspiration on how to make a sign for Christmas? 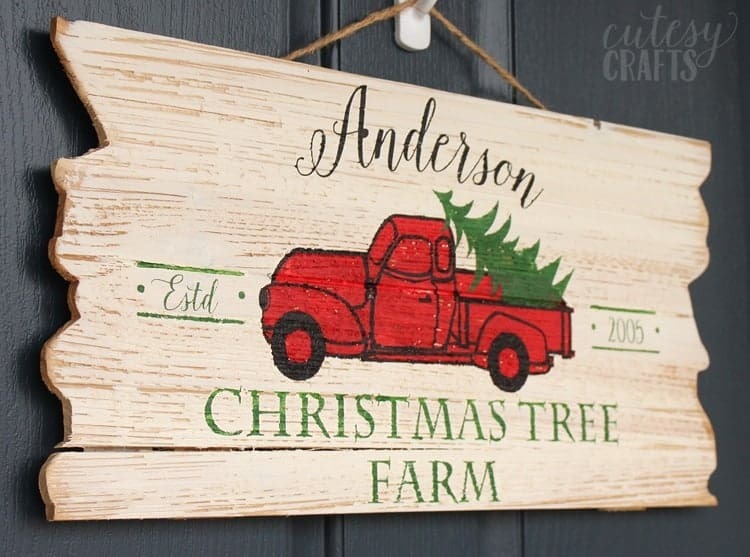 This Farmstyle Christmas Sign is right up my alley! You can find the full tutorial on Cutesy Crafts. In order to follow this tutorial you will need to have a good vinyl cutting machine, as well as some adhesive vinyl that you will use to make a stencil. 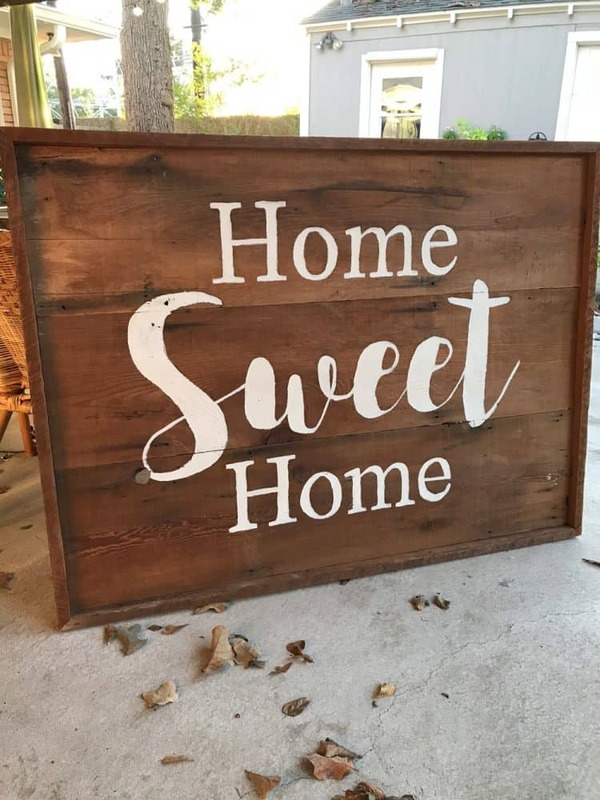 Next on our list is some gorgeous wooden signs for home. I love the simplicity that brings elegance to this sign by Amber Oliver. She will show you how to transfer printed letters to a wooden sign. After inspiration for some wooden signs with sayings? I love how Where The Smiles Have Been combined some fun photos with her wood sign. After some truly special wood decor signs for Christmas or other special occasions? I really love how Making Manzanita took a unique approach by making the sign from individual wood pieces. What a stunning sign. 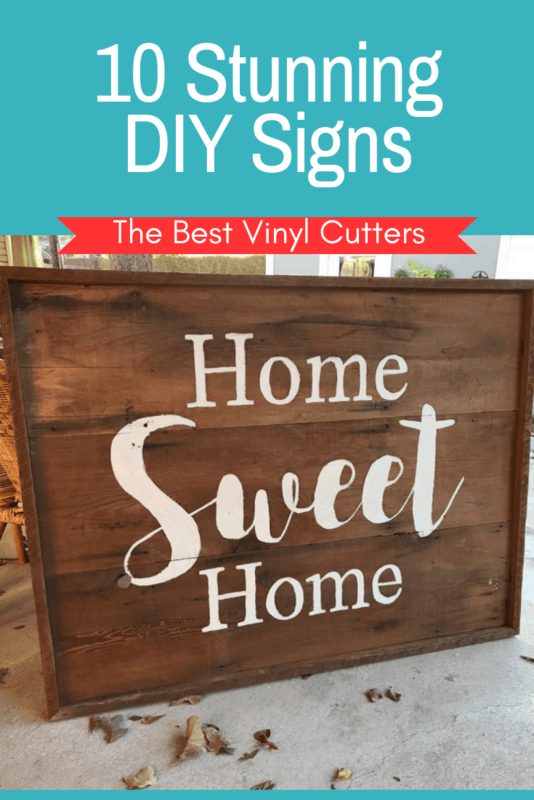 Looking for some wood sign ideas that you can whip up specifically with the Cricut Maker Cutter? Everyday Jenny will take you through a full tutorial and show you how to create this statement piece. How clever is this reversible holiday sign. Why make two signs, when you can simply turn one around when the next holiday season comes around 🙂 Super nifty! Find the tutorial on Simply Made Fun. 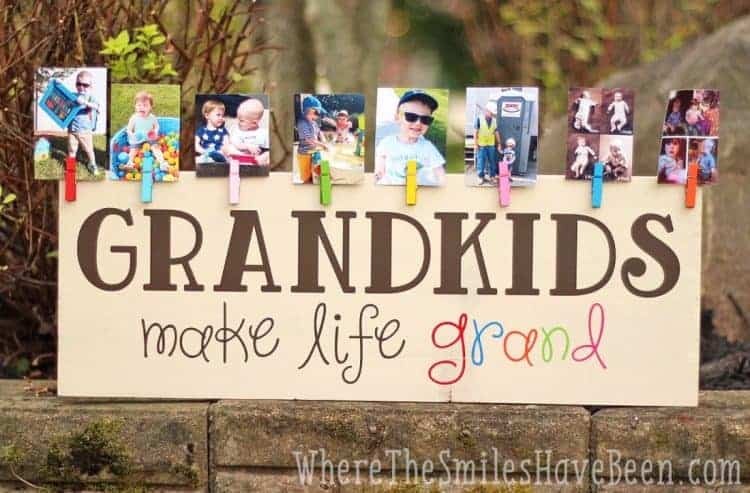 If you enjoy wood sign making or any other signs for that matter, then I am sure that you must have enjoyed our post today. Don’t forget that you can click through to the listed blogs and websites where you can find the full tutorial on how to make your own sign. I think I’m feeling inspired to go and make a DIY welcome sign for my home right now.